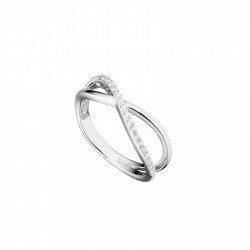 Discover a collection of infinity shaped jewelries in 925 Sterling Silver. 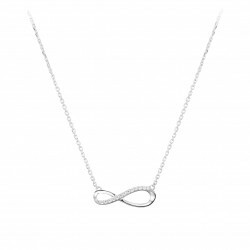 Under the sign of Infinity, Elsa Lee created a collection full of symbolism, meaning to carry a message and to describe the beauty of a perpetual bond. 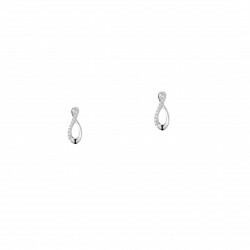 Paved and set with cubic zirconia, this collection is resolutely fashionable and trendy. 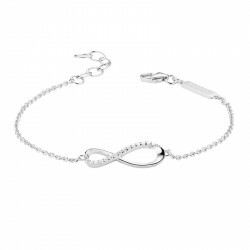 Ideal for a declaration of love or friendship, this collection comes in different shape, from silver chain bracelet, stud earrings, chain infinity shaped necklace, silver bracelet or colorful cotton string bracelet.